Welcome to Temple Yoga & Wellness Center! Temple Yoga & Wellness Center believes in a mind/body approach to wellness and fitness. We offer comprehensive yoga, wellness & fitness class for anyone interested in getting moving towards a healthier lifestyle. Our goal is to get and keep our community healthy and well. Since 2004, we have been providing healthy solutions to help reach our goal through great health and wellness, and yoga instruction.  While you’re here visit our online store and get Gift Card or a cool “I Love My Temple” Tee or Sign up for a Yoga Class. You can sign up for Karma Yoga and help us do good work in our communities. In 2020, we will travel to Tuscany. Interested in traveling with us? Sign up NOW at the Temple Store or Complete the contact form below and enter "Fly Yoga" to be apart of our yoga travels. Check here or FLY YOGA tab for more info. 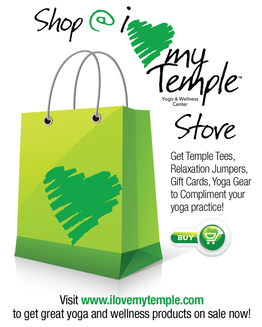 Visit our Temple Store and get a Gift Card, Temple Tee or sign up for our next Fly Yoga trip.